In the early afternoon of the 4th, we flew from Kauai direct to Maui. I was wondering where in Maui this view from the plane was until I realised it is a view of Molokai, a nearby island, as we flew past. This on the other hand is definitely Maui. 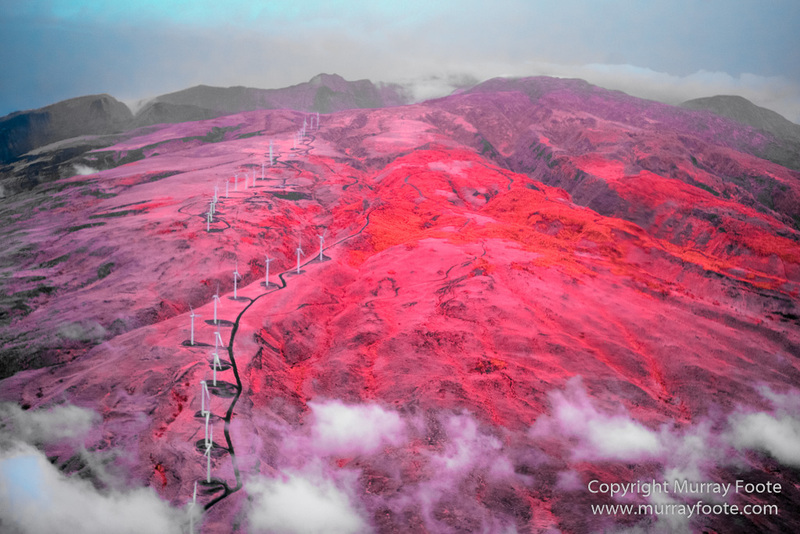 A line of wind generators on the northern volcano. The next day, we went on a journey around the northern part of the island. 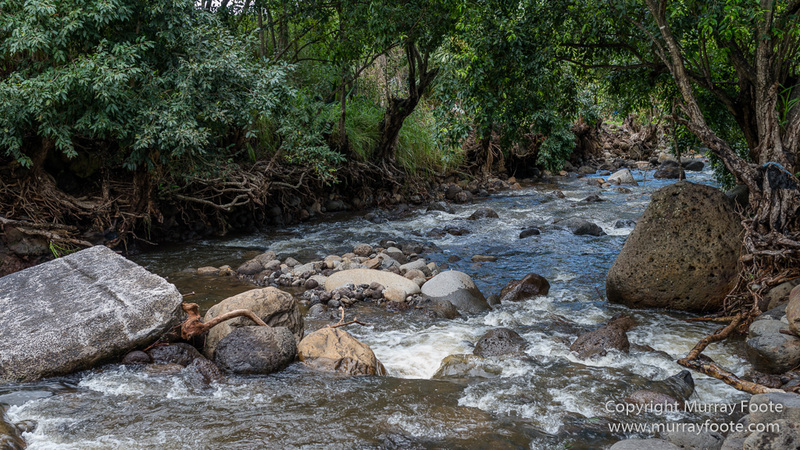 Apart from a stop for lunch, our first stop was the ‘Iao Valley, where after a fierce battle in the 1790s, the river was said to be blocked with bodies and to run red with blood. When we were there though, it was a normal day and the river was a normal colour. This is an area demonstrating traditional cultivated trees and planting of food crops. 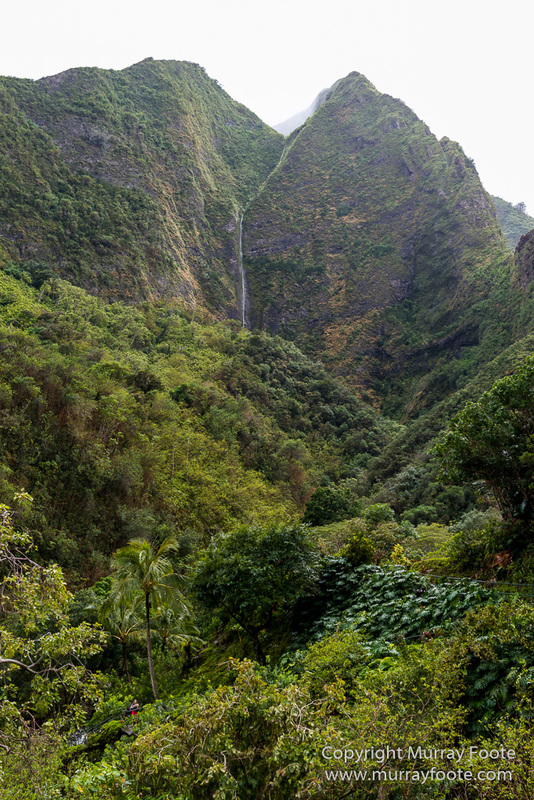 The peak on the left is known as the ‘Iao Needle. In 1790, Kamahameha landed at nearby Kahului Bay with a fleet of canoes and twelve hundred warriors. The Ali’i nui (paramount chief) of Maui, Kahekili II, was at Oahu, which he had conquered in 1783, so Kamehameha met Kahekili’s son, Kalanikupule. The armies were evenly matched and the women and children watched the contest of men, wooden spears and muskets from the side of the valley. The battle continued for two days without a resolution. On the third day it was decided in Kamehameha’s favour by two cannons operated by John Young and Isaac Davis. 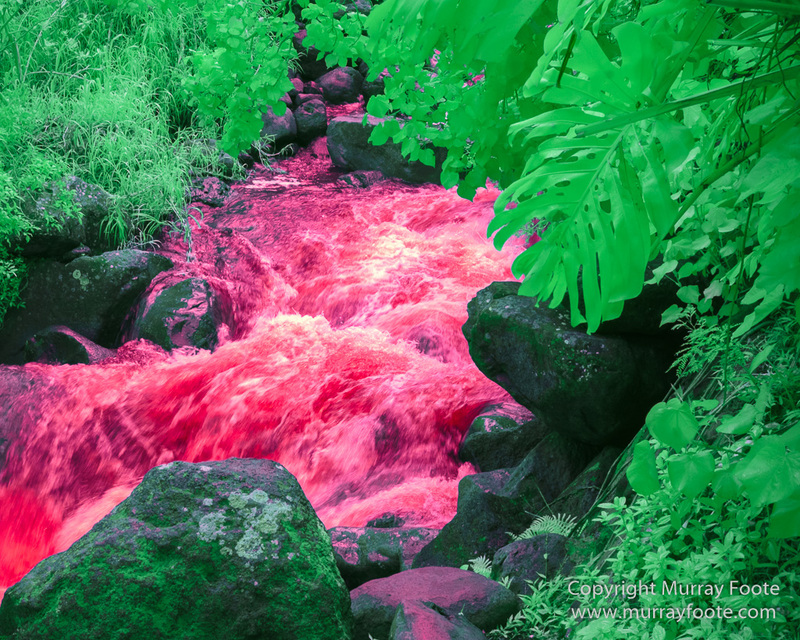 Most of the Maui nobility escaped but the carnage was so severe it was said the river was blocked with bodies and ran red. Consequently, the battle was known as Kepaniwai or “the damning of the waters”. The battle didn’t win Kamehameha control of Maui, however. He went back to Hawaii and needed a couple of further battles to extend his rule over that whole island. 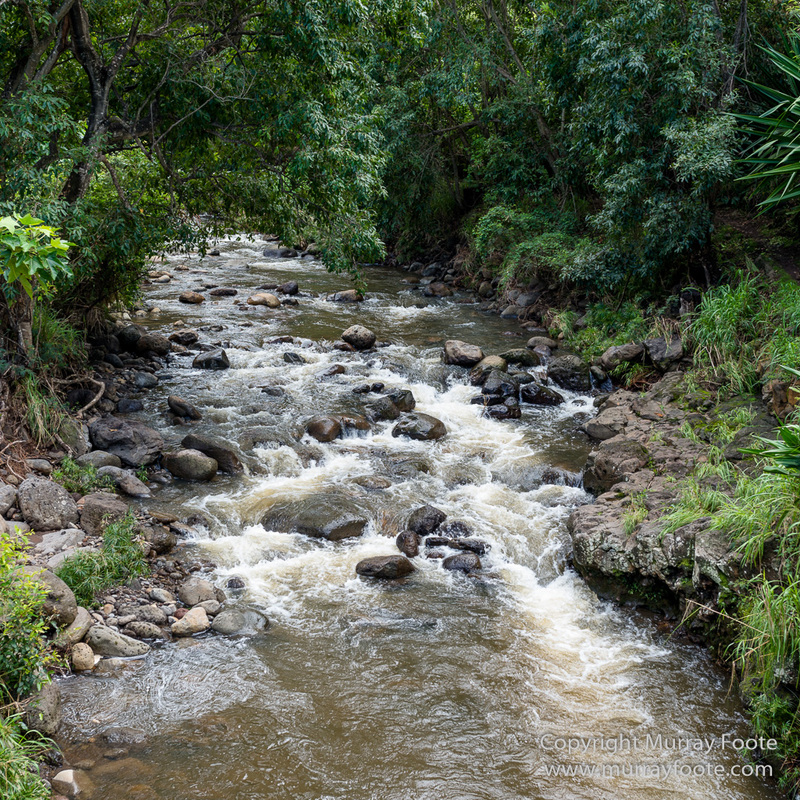 In 1794, Kahekili died and there was a civil war for the Maui domains which Kalanikupule won. In 1795, Kamehameha invaded Oahu and attacked Kalanikupule’s army. Kamehameha was much better provisioned with musket and cannon and pushed Kalanikupule’s forces back until they were trapped atop a cliff. 800 warriors went over the edge and died. We didn’t stay very long at the ‘Iao Valley because it was raining. We continued on along the eastern side of the north coast. Maui is essentially two huge volcanoes connected by an isthmus. You can see the southern part of Maui in the distance. Below the vantage point of the earlier image was a natural arch. If you look closely (or click on the image to see it at a larger size) you can see the remains of a structure on the rock. There is a wooden frame, remains of some fabric and a couple of rusted metal chairs. Much too exposed for a camping place, it must have been a makeshift fishing shelter. 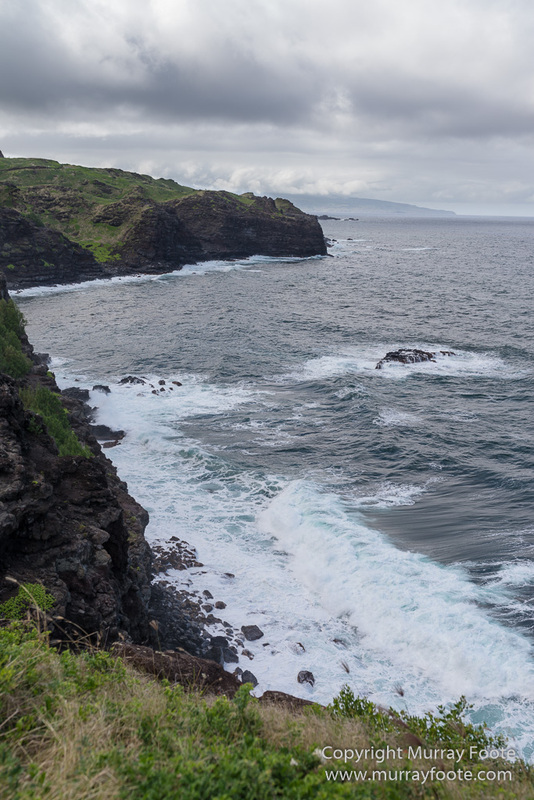 I had not realised that I was driving on the notorious Kahekili Highway, often a narrow one-lane road with blind corners and a drop off over the cliff to the sea. I was intrigued by the sign that popped out from this school bus, ensuring traffic from both directions must stop while passengers alight. I encountered this bus at different times travelling in both directions, but fortunately not in a difficult section of the road. 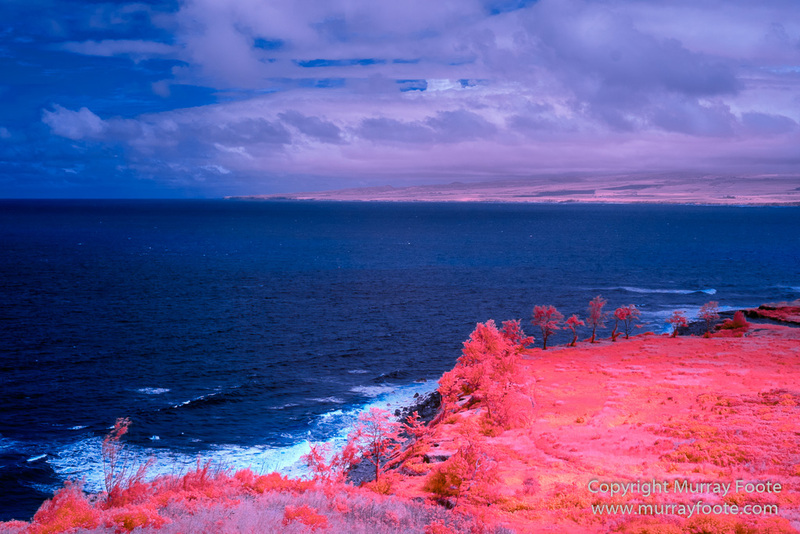 In this image, I believe the land in the distance is the island of Molokai. At one point I drove up to behind a white van on a narrow, one-lane stretch of road. Two wheels of the van were off the road on the cliff side. It had evidently tried to pull over where the road was too narrow and where someone had to back. Two jeeps were managing to just squeeze past so I had to back up. I got Jools out of the car to direct me and slowly managed to get back to a corner with space for passing. After the jeeps had gone through I kept on going and managed to squeeze through past the van. This truck was parked beside the road but there was no sign indicating it was for sale. Visibility while driving it may not have been too good anyway. Just past the truck was a bridge over a creek where I took this shot looking upstream. Suddenly the weather changed and everything looked different. This is looking downstream. And then, just a few seconds later according to camera date-times, the weather changed again and everything was as it had been. 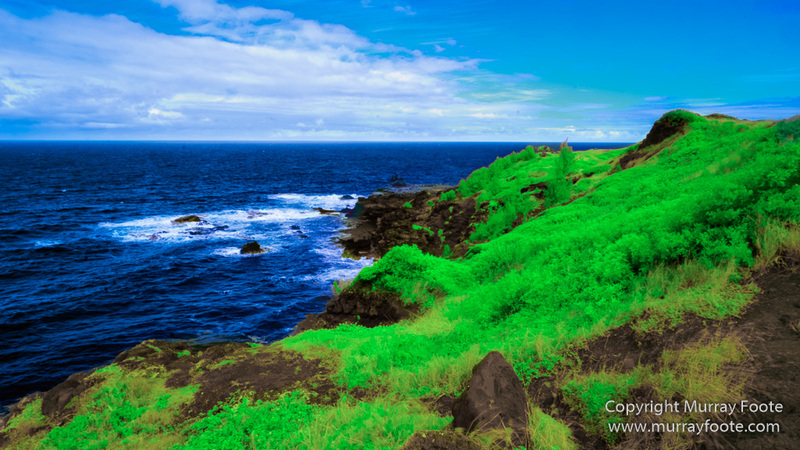 This is somewhere on the northern coast of Maui. I think the land in the distance here is the island of Kahoolawe. 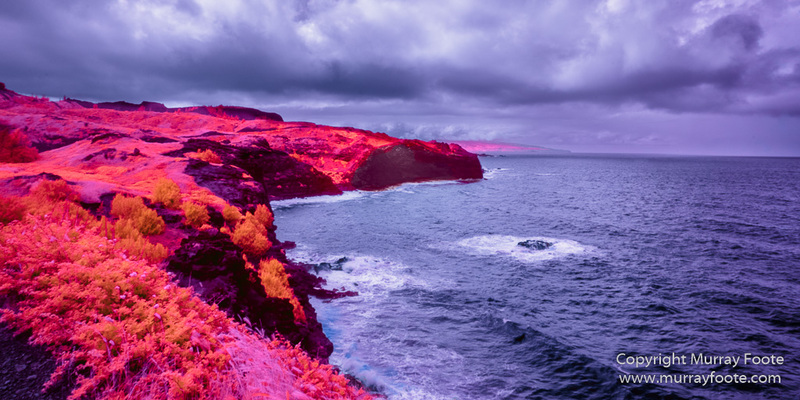 Kahoolawe had been settled in historic times but by the end of the eighteenth century it was abandoned, due to war and shortage of water there. 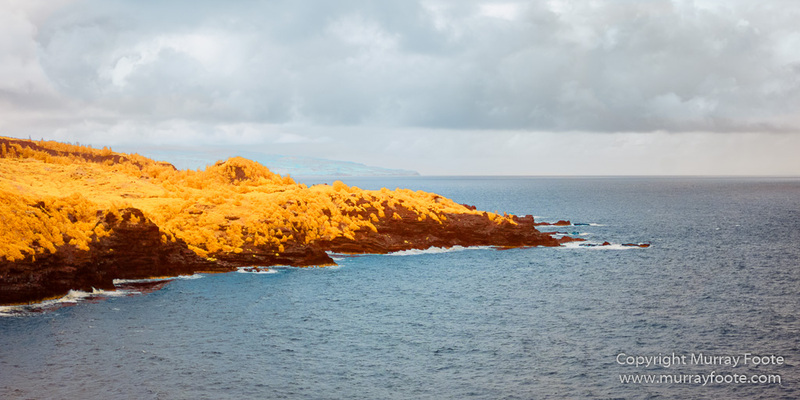 When Kamehameha III abolished the death penalty in 1830 and replaced it with exile, Kahoolawe became a penal colony. However, it was a savage place to try to survive and it was abandoned as a penal colony in 1853. It is currently a nature reserve and efforts are underway to rescue it from environmental degradation. A different view from a similar position. We are now in the southern part of the western coast of Maui. That is the southern part of Maui and Maount Haleakala you can see in the distance. I found much of the western coast of Maui disappointing, being infested with resort hotels and condominiums. Even what once would have been the charming town of Lahaina appeared to me in large part an over-populated tourist trap. Fortunately not all of Maui is like this. 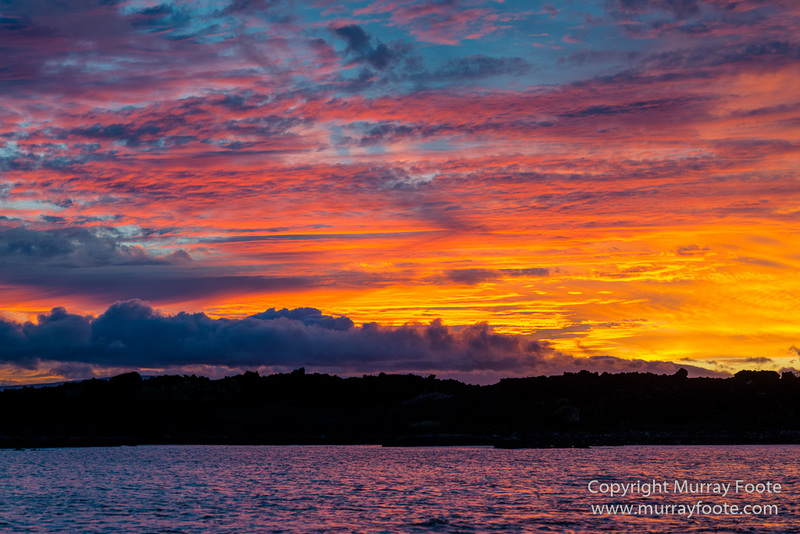 We drove down the coast to La Perouse Bay for the sunset. La Perouse visited and mapped the bay in 1786 and had fond memories of the warm welcome he received from the local people. When he visited again a few years later, there was no-one living there. 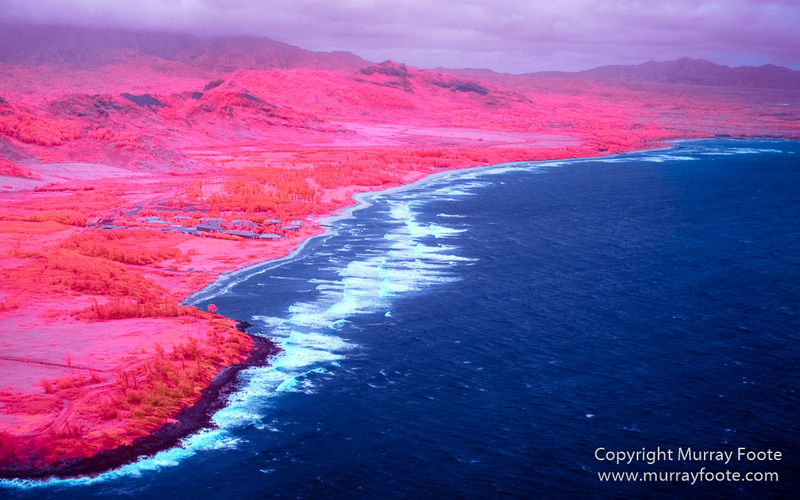 There had been a volcanic eruption and lava flows had eradicated all signs of settlement. These days, this is the end of the road. The road goes on a little way past the over-settled zone but it’s a lava landscape and too rough for roads to go far. (Trivea note: One mile of images and 200,000 words. There are now 5,444 images in this blog. If I printed them all at A4 and laid them end to end, they would be one mile long or 1.62 kilometres. There are also now more than 200,000 words in the blog. 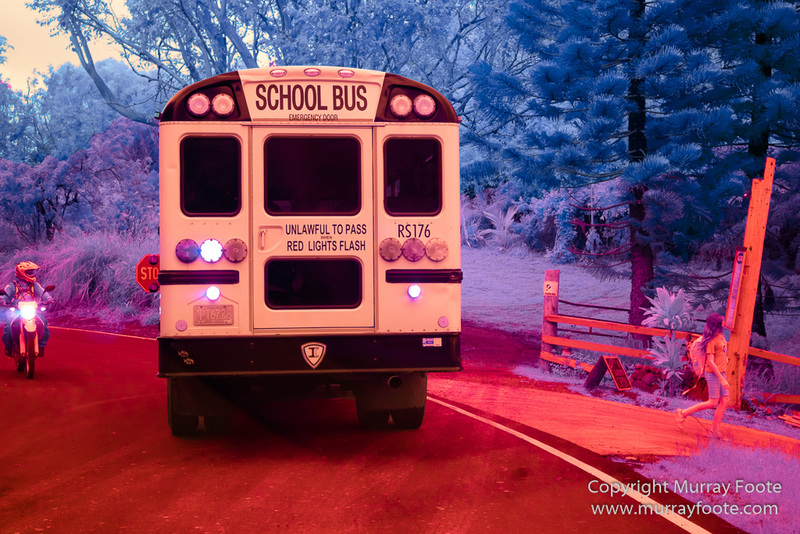 The 200,000th word was cliff, in red and bold just under the image of the bus further up in this post. A while ago I read a biography of Joanna of Naples and decided that book averaged 456 words per page. At that rate, the words in this blog are equivalent to a 440 page book. 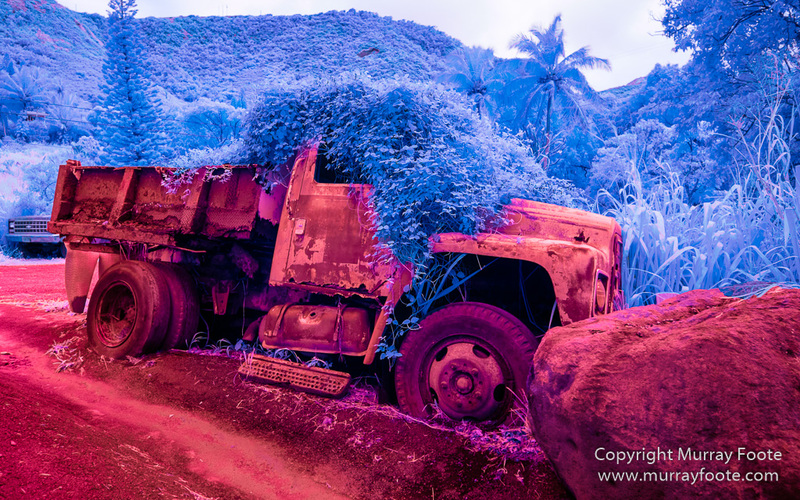 This entry was posted in Hawaii and tagged Battle of Kepaniwai, Hawaii, History, Iao Valley, Infrared, Kahekili Highway, La Perouse Bay, Landscape, Maui, Molokai, Nature, Photography, seascape, Travel. 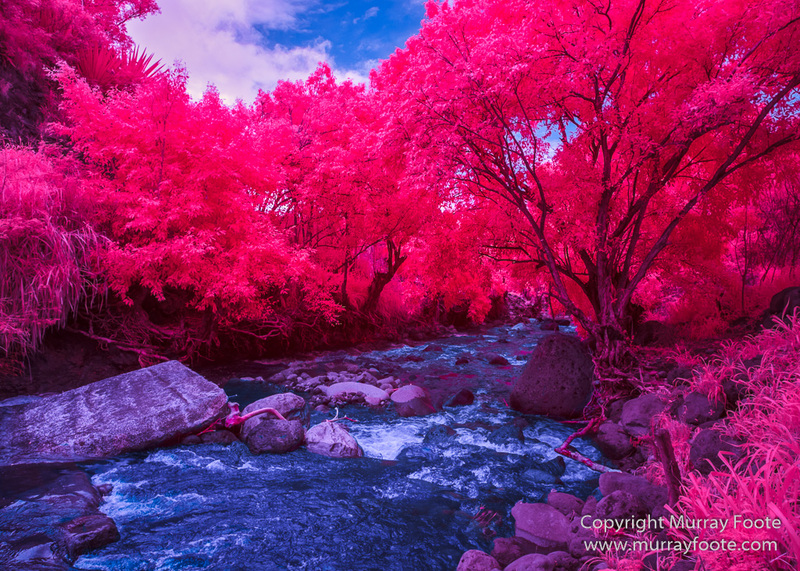 Great images – and I love the humor about the river being the regular color today – and the truck with poor visibility! 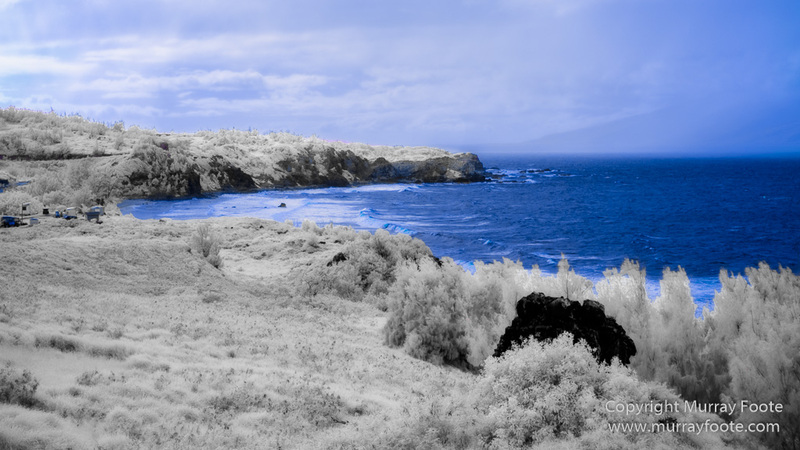 I guided hikes for one winter in Maui and did the West Maui loop many times. In a white van filled with tourists! There are great little hikes along the way. One goes to a little waterfall where you can swim. Another wanders up through ancient taro terraces. 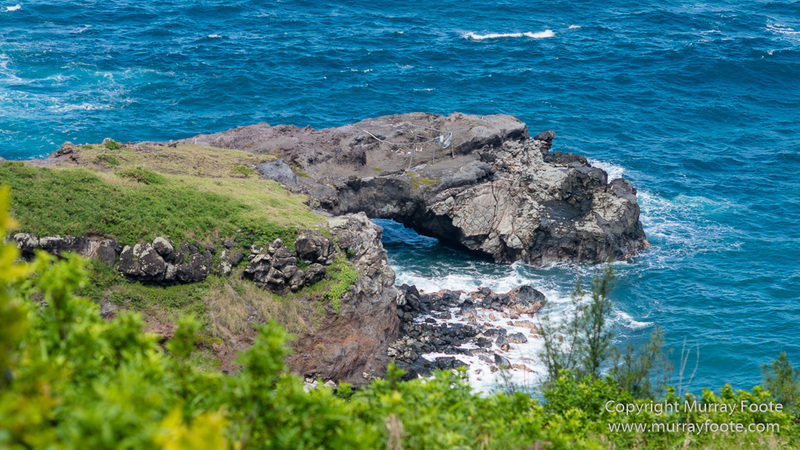 It’s a very interesting part of the island, filled with remnants of old Hawaii. Hope you’re having fun, despite the localized Oahu character on the west coast and around Kihei. I’m back in Australia now. 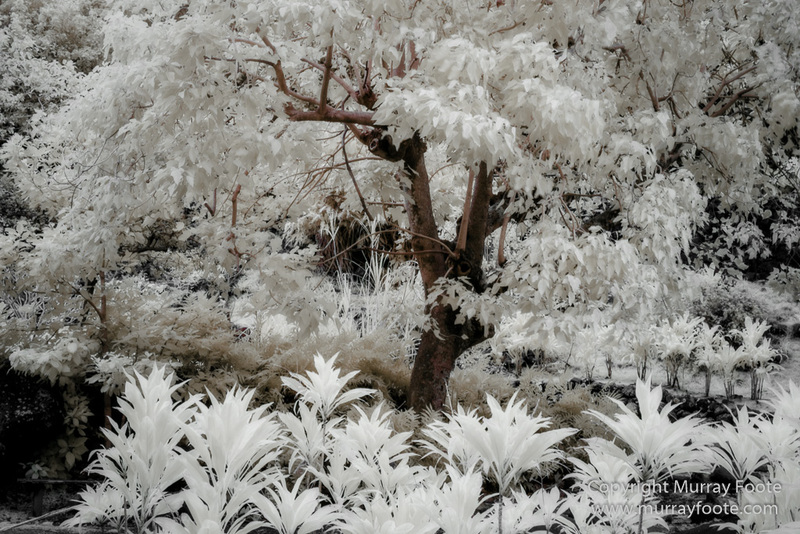 It takes me a long time to process images, write them up and post them. But Maui was definitely great. It’s probably just as well the roads are somewhat challenging, otherwise it might be all highly developed. I only had three full days there, so there were no doubt many things I missed out on. I identified a few places to go for walks on the south coast where at the time we were unable to identify where to stop.